A few days ago, I ran across the Cult of Done Manifesto by Bre Pettis, while reading a book entitled Linchpin by Seth Godin. I was so impressed and inspired that I read it to my daughter. Next, I'm buying the poster. 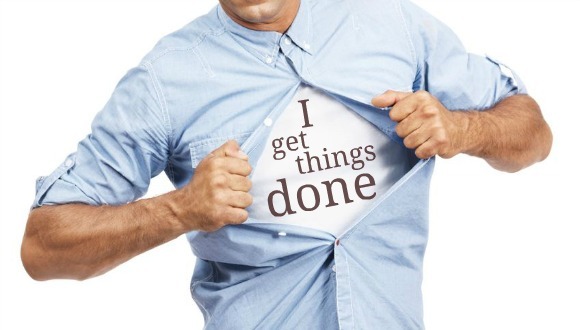 You'll never look at "getting stuff done" the same way again. I present to you a manifesto of done. This was written in collaboration with Kio Stark in 20 minutes because we only had 20 minutes to get it done. There are three states of being. Not knowing, action and completion. Accept that everything is a draft. It helps to get it done. There is no editing stage. Pretending you know what you’re doing is almost the same as knowing what you are doing, so just accept that you know what you’re doing even if you don’t and do it. Banish procrastination. If you wait more than a week to get an idea done, abandon it. The point of being done is not to finish but to get other things done. Once you’re done you can throw it away. Laugh at perfection. It’s boring and keeps you from being done. People without dirty hands are wrong. Doing something makes you right. Failure counts as done. So do mistakes. Destruction is a variant of done. If you have an idea and publish it on the internet, that counts as a ghost of done. Done is the engine of more. Today is day 5 of my 30 day blog challenge. Kindcraft is a new organization in Kansas City aimed at creating opportunities for families to give back to their community. This is the story about our process for creating their new website. Ira Glass on the creative process: A video. Learn the communication strategy we use to create a healthier marriage and create better results for our clients. Day 2 of my 30 day blog challenge: Creating a tri-lingual website for a green energy consulting and education firm working on two continents. After moving to Kansas City from Costa Rica, I’m challenging myself to a reboot on the productivity and creativity front. Come aboard and take this ride with me if you dare. We believe there is adventure and beauty to be found in each day and in every endeavor. With this in mind, we relish showcasing the true colors and vitality of your business using the latest technology and cutting edge design principals, all while drawing on decades of the combined experience of our team. The goal of Maya Creative Group is to create powerful and effective digital designs and tools, optimizing your success and the experience of your customers.